AMS Group is attending these two international joined events. 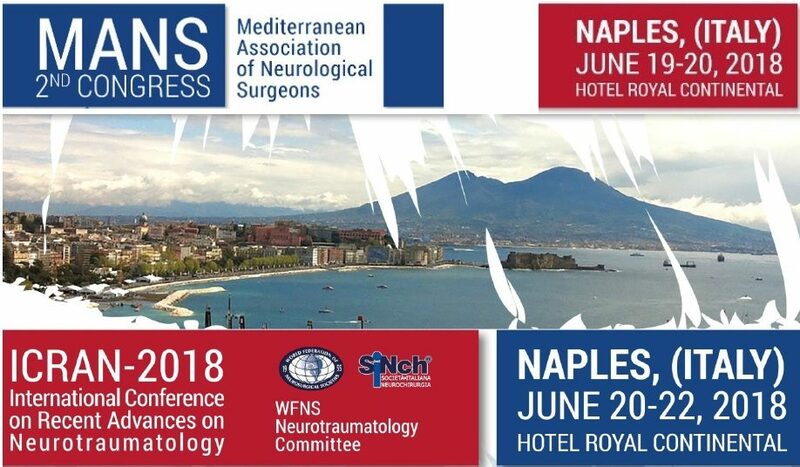 The first one, MANS Congress (Mediterranean Association of Neurological Surgeons) will be a big opportunity to let Neurosurgeons coming from the main Mediterranean European, North African and Middle Eastern countries meet together. The second one, ICRAN Conference ( International Conference on Recent Advances on Neurotraumatology) will see approximately 350 operators dedicated to traumatic brain injury, neurointensivist management of cranial trauma, pediatric trauma and spine trauma surgery. It will be an important training occasion for operators who deals with cranioplasty. We would like to draw your attention on a speech of our interest “OstaPek: non rigid spinal fixation for lumbar degenerative disease”, which will be held by Dr. M. Egidi on 19th June during the Lunch Seminar, h. 13.45 – 13.55. We invite you to visit our booth, we will be pleased to present you our Coligne and OssDsign products. Click here for MANS program and here ICRAN program.